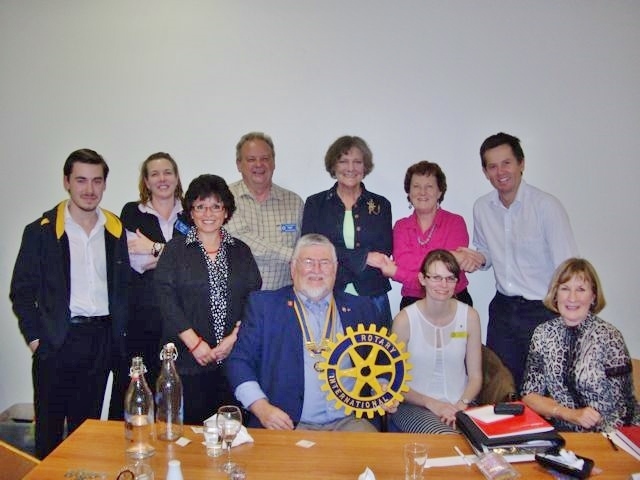 Club meetings are at the heart of the Rotary experience as they are the link between fellowship and service. Members should attend as often as possible but our club is very cognisant of the many competing pressures on members’ time. Luckily, online options increasingly enable members to continue to engage in the life of the club even if absent. While most members take dinner during the meeting, this is optional and members with young families often have already dined at home. A regular meeting often includes a guest speaker who presents on a topic of their expertise of interest to members, either as Rotarians or as simply members of their community. A guest speaker evening will usually begin with a bit of a meet and greet for members, guests and the guest speaker, during which time we order our meals and drinks from the kitchen, to come out after the presentation. The presentation is early in the meeting and usually goes for 20 to 30 minutes before allowing time for questions to the speaker. Then when the meals come out we enjoy each others company, have a good chat and members and guests better get to know each other. 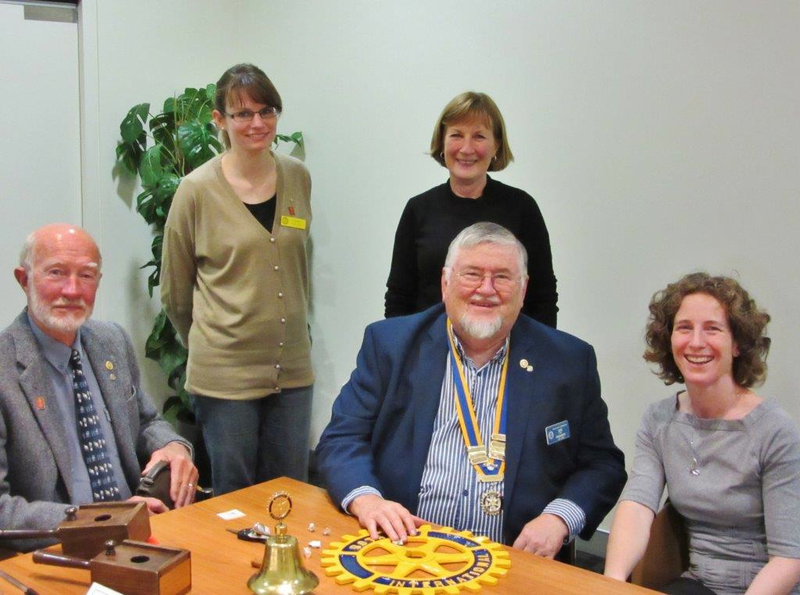 The first visit for most people to a Rotary meeting is usually at a guest speaker night. Rotary Gungahlin is fortunate to regularly host some amazing people, both from our own community, around the country and overseas. Our diverse range of past speakers includes health professionals, resident or visiting scholars and academics, community and business leaders, aid workers, politicians and so much more. To find out when the next guest speaker will be presenting, please contact us. These are focused on the business and planning of the club’s activities. Although they are the most formal our our meetings we have a commitment to openness and all members are welcome to attend and participate – though if formal votes are recorded, a rarity, these involve just Board members. At Board meetings members may formally bring forward motions and recommendations, often relevant to their portfolio responsibilities, finances are reported and formal minutes kept. While board meetings can be more formal, we still enjoy dinner and socially and the opportunity to catch up with each other and to meet guests. Board meetings are listed on the Club Calendar so that any member wishing to attend has adequate notice. Generally about once a month we plan for a less serious meeting at which we may receive a report from a member on a recently completed vacation, we may all go out to a local restaurant, have a ‘games night’ or visit another club. Club business is kept to a minimum at such meetings and the emphasis is on fellowship and fun. Guests are always welcome at any of our meetings, just pop in any Monday night or contact us, in case we are at an alternative venue that week.